Techie by day and sportsnista by nature, I consider myself an enthusiast of the sports tech world. It’s exciting to bear witness to the rise of technology and how it transforms the way we experience the game, how coaches are coaching, and even how athletes are developing and fine tuning their skills. From wearable devices like Whoop recently endorsed by the National Football League’s Player Association (NFLPA) to former tech CEOs becoming team owners (take Steve Ballmer for example). Tech is immersed in almost every aspect of the game making it that more important to stay on top of the latest trends. According to Forbes, these innovative moves are also raking in billions of dollars into the industry mainly dominated by the intersection of digital media, fitness, analytics, and eSports. According to Forbes, these innovative moves are also raking in billions of dollars into the industry mainly dominated by the intersection of digital media, fitness, analytics, and eSports. At the Sports Tech 2020 Game Changer Showcase, I had the privilege of learning about some of the black leaders and creators in this space and the cutting edge technology they’re bringing to the game. Check out these “game changers” and the plays they’re making in sports and tech. Workout alongside Professional Athletes. Anytime. Anywhere. Driven by her own desire to balance a successful career in venture capital investing and still find the time to hit the gym, Sarah found a unique way to break into the tech and fitness arena through Proday. 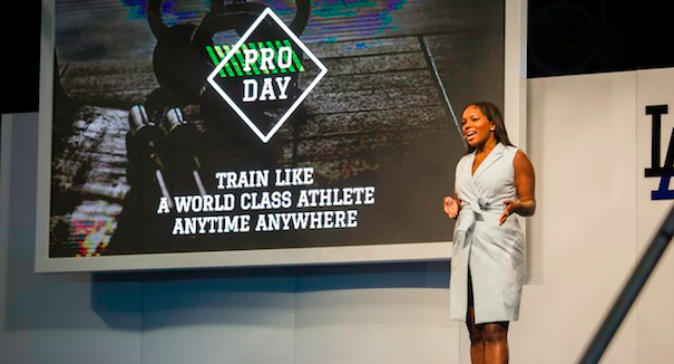 Proday, backed by the Los Angeles Dodgers accelerator program and various angel investors like Sara Haider, is a mobile app designed to let its users workout alongside all-star athletes, starting with Delanie Walker, pro-bowl tight end for the Tennessee Titans and Women’s U.S Soccer player Crystal Dunn. Bridging the gap between fitness and tech, all workouts are tracked in-app. Whether you’re just getting started with your fitness goals or looking to take your workouts to the next level, the training regiment adjusts to your needs accordingly. In addition to making stellar workouts more accessible, Proday is also a way for athletes to cash in on the business side of sports given their relatively short career span as stated by Sarah in a recent Forbes article (Sarah was also one of Forbes 30 under 30 in 2015). Though Proday will be diversifying its talent pulling from the WWE, UFC, and other sports, it’s far from being just a fitness app-it’s now morphing into a digital media one stop shop with the latest on style, culture, and entertainment soon to be told by athletes from Proday’s lineup. Anwar McQueen, VP of Sports Business Development. Image by NBA. 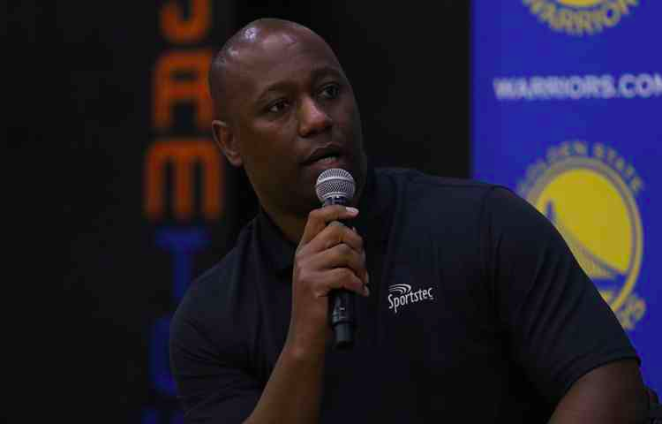 As a successful student athlete who played along side Jason Kidd at University of California — Berkeley, Anwar McQueen’s rise to Vice President of Sales and Business Development at SportsTec is no surprise. SportsTec, with tools like SportsCode and Gamebreaker, gives coaches the ability to design intuitive code to further break down video reel and track specific in-game metrics. From basic analysis to comprehensive insights through collaborative reports, organizations have the flexibility to determine how deep they want to go into the data side of the game. Though recently acquired by Hudl, the leading software developer in sports analytics, SportsTec was already making quite the buzz in the market with avid users like Duke Head Coach Mike Krzyzewski and WNBA Head Coach Pokey Chatman of the Indian Fever. In addition to developing a strong portfolio domestically as well as integrating their tools with 29 teams across the NBA, organizations like the Chinese Basketball Association and the Australian Football league continue to bank on the SportsTec platform for their competitive edge. Together with Hudl, which is used by more than 150,000 teams and 5.5 million users across the globe, SportsTec is poised to dominate the lane of sports performance analysis. 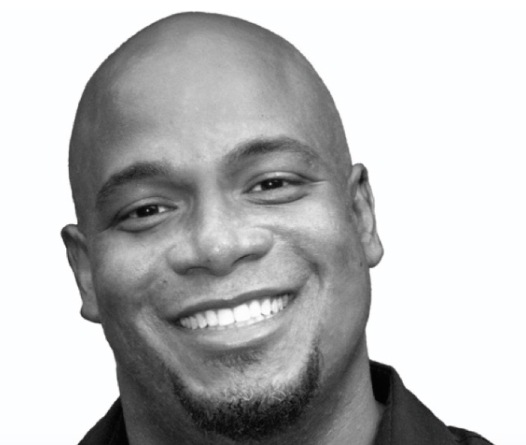 After successfully leading the team behind Madden NFL for EA Sports and developing NFL Fever at Microsoft, David has now used his expertise to create Emortal Sports, a game development company committed to bringing the latest in virtual reality to eSports. As CEO and Founder, David sees VR as the next big thing to hit the gaming scene, making total immersive experiences a possibility for both players and fans. At this year’s TechFestNW, the premier tech and innovation conference in the northwest, David discussed his views on VR and it’s infancy in gaming. Even beyond VR, David and his team are working on bringing a sense of player identity and progression to eSports through an avatar-based platform. In traditional sports where athletes bare the brunt of physical toll, through Emortal’s digital system, avatars will endure the same consequence, making this one of the bigger bets Emortal is banking in gaming. By owning various aspects of the eSports ecosystem (the game itself, venues, and competition), Emortal is on track to revolutionize and capitalize on the gaming world. Though a live launch from Emortal is still in the works, it will soon roll out to Vive, a VR device, esports fans are bound to be excited with what rolls out next. If you’re interested in becoming a member of Black Tech Women, request to join our facebook community. You can also support Black Tech Women by following us on instagram and twitter. *Story originally posted on The Sports Fan Journal. Posted with permission of writer. @blacktechwomen: Leading organization for black women in technology. VOICE is our platform for highlighting our perspective!